The daughter of the Minister of Justice gets murdered. Filming began February 4, 2016. StarryNight Dec 28 2017 8:25 pm I came here because of Kim Young Kwang and later noticed my Habaek 2nd male lead! park rin gi Dec 14 2017 10:53 pm is this movie interesting?please feedback to my comment..i waiting for it..
RandomPearson Aug 02 2017 11:48 pm Oooooo big fan of Ju Hwan!! Btw on Bride Of The Water God, I'm team Yoon Shin!! :3 Dun judge meh I'm just Random Pearson, m'k? M'k. Natasha Aug 01 2017 9:15 pm When is this movie releasing? LIM JU HWAN Jul 17 2017 12:40 pm In this movie Ju Hwan is second male lead to LSK. In another drama that he's in, he's competing against Nam Joo Hyuk. Lol. Janine Feb 14 2017 11:13 pm When will this be shown? Aubrey Feb 10 2017 3:52 am Dec 2017? ???? Maui Feb 09 2017 3:43 pm I wish I can watch it in America. I can't wait. Fighting! Dilu Feb 02 2017 10:42 pm WoW! Kim Young-Kwang and Lee Sung-Kyung would make such a perfect couple in this movie. Both so tall and cute together. s_ree Dec 29 2016 3:46 am Does anyone know when it'll be released?! 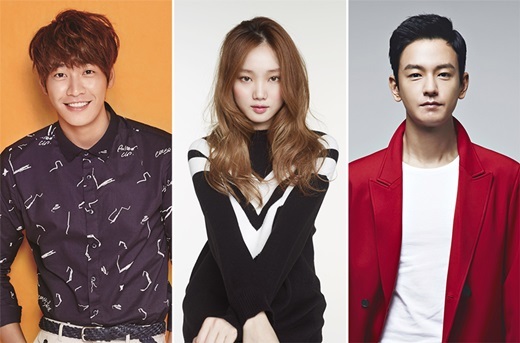 biblee Dec 29 2016 3:29 am omonaa lee sung kyung eonnie & kim young kwang!! fighting! Candy Dec 22 2016 11:45 am Fighting sung kyung unnie! his acting was awesome in wats up n ugly alert . Julian Laine Jan 08 2016 3:08 am Kim young Kwang is back with such a great movie, It will be a sure hit like his 2015's drama D-day! Can't wait to watch!! He's cool being a lawyer here!! ruby Dec 20 2015 7:05 am Lim Ju-Hwan <3<3<3 Love him since OH MY GHOST! Such a great great GREAT ACTOR!!!! neon Dec 11 2015 6:35 am hmm is Lim Ju Hwan gonna have a killer character again like in OMG?